Thirteen-year-old Lucia Frank discovers that she can become the girl she’s always wanted to be with the help of a little “moon magic” in this charming novel about the value of friendship, family, and finding yourself. Lucia Frank has never had time for her mom’s “new age” nonsense. She doesn’t believe in any of that stuff. All she wants is to figure out how to get her best friend, Will, back and cope with her parents looming divorce. But then something strange happens on the night of her thirteenth birthday. 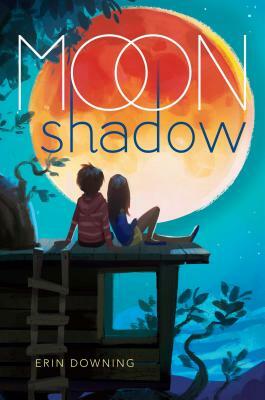 When the eclipsed moon slips into the shadow of the earth, Lucia’s Shadow slips out. Now hidden in a moonstone, the Shadow waits for Lucia to sleep so it can come out to play. Lucia’s Shadow seems unlike her in almost every way: daring, outspoken, and unwilling to let anyone push her around. But it actually isn’t the anti-Lucia…in fact, her Shadow is very much like the person Lucia wishes she could be. At first, Lucia is eager to undo whatever magic happened on her birthday so life can get back to normal. But when she realizes her Shadow is doing and saying things she has only dreamed about, she wonders if maybe things aren’t all bad. With a little help from her Shadow, she’s turning into the kind of girl she’s always wanted to be. "Magic, shadows, dreams, and desires all come together in this spell-binding middle grade novel."